Hey guys.. Greetings..!! In our previous posts we discussed and learned about How we can install Android 4.4.2 Kitkat on PC like Windows – Complete Guide. There are so many ways which are more or less complicated, to run an app on our computer, usually through specific programs or virtual environments that allow us to execute the android files (apk). 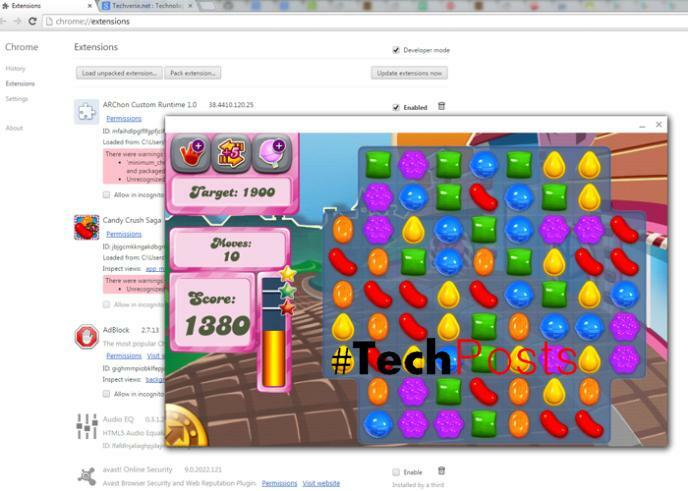 But do you know that you can now run android apps and games on the Google chrome browser? Well, thats possible. 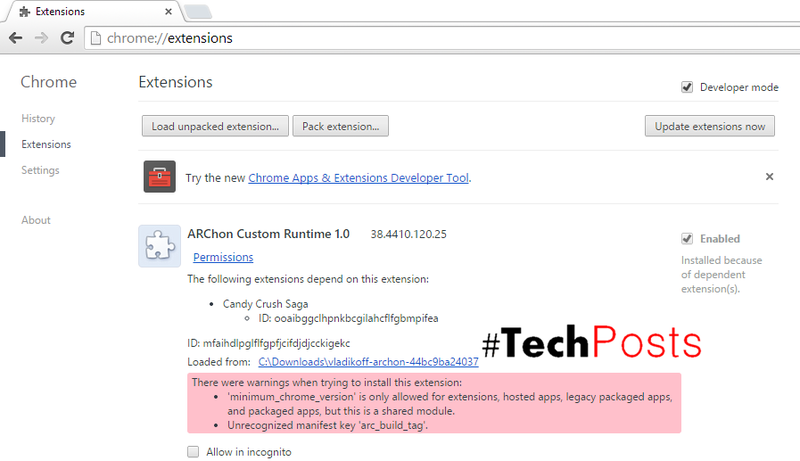 Recently, Google announced a remarkable feature for Chrome OS, the App Runtime for Chrome (or ARC) better known as ARChon. With this tool, we can install Android applications on Chrome OS devices, increasing the amount of software currently available for Chromebooks. Officially, there are only a few applications fully compatible, and it seems that there is still some way to go until compatibility can be generalized. Thanks to a developer, “@Vladikoff”, who took a step further and created an extension for the Chrome web browser called ARChon which makes it possible to run Android apps and games on any computer with Chrome Web browser. We can run Web browser based Android applications on Windows, Linux or Mac. It has been already tested on OS X, Windows 64-bit and Ubuntu. The only requirement which is a must is that you must have Chrome 37+ installed or in case if If it doesn’t work for you, try Chrome Canary. We can download the extension directly from his GitHub page. We can download the version that best suits our device, choosing among those available as shown below. Please note : Since the Archon environment is still in the Beta stages, it can’t run all the android apps and games available on the Google Play Store. Warning: The official runtime component will be replaced by the custom runtime . You will need to uninstall the custom one and reinstall the official one, If you want to go back to the official runtime . First of all we need to download the ARchon runtime environment and then the apk files for the android app and game that you want to run on Chrome. You can see this How to download Apps from Playstore as APK directly to PC – Complete Guide incase if you don’t know how. You can download the ARchon runtime environment from this link – Download ARChon Runtime Environment. To install this extension, we first need to enable the developer mode in Chrome. To do so, we just have to enter into the Chrome setup menu and enable “Developer Mode”, which can be found within the “Extensions” section. Once you’ve downloaded an app or game from the spreadsheet, extract it your desktop. In the GitHub page, @Vladikoff also offers a tool to adapt the apk files, chromeos -apk. For the latest developments on this topic you can head over to the Reddit community that has compiled a list of all compatible applications and outline the potential problems that can happen with each one. The main problem is that many apps require Google Services running in the backgroud, and that will not happen in our computer. So some applications, such as Twitter, which needs to communicate continuously with Google Services, will experience some problems and crash. However, the fact that many other can be installed and run correctly is a remarkable milestone. Just wanted to let you know that we’ve launched YouTube Channel where we upload awesome video content. Please make sure you hit the subscribe button to stay up to date with the new videos we upload every week or just Click Here to Subscribe to our Youtube Channel. Enjoy..!! !